Normally, I remember people when I have spoken with them— especially when I have seen their name in print. I’ve had a pretty good track record of at least recognizing that I have met someone before, even if I don’t exactly recall the setting. This week, however, I experienced something new to me. A few weeks ago, I wrote about forgiveness. I shared how forgiveness is a process for us. God forgives differently than we do. He forgives us fully and completely, but man does not. The human aspect of forgiveness is a process that we must work on each day of our life. I wrote that article based upon my perspective of forgiving someone who has offended me. However, I was exposed to an aspect of forgiveness that, for some reason, I never really had to deal with before. This week I had someone call me and ask for my forgiveness. Now, that isn’t the aspect that surprised me. What surprised me is that this person was carrying a burden that I had no idea that he was carrying. I had no recollection of what he was referencing to and as a matter of fact I totally forgot ever meeting him. I didn’t remember him, so I asked him where we met. He was a sales representative from a company that I had done business with through my work. For several years, I worked as the purchasing manager and we had met a time or two during that time. When he told me, I was totally astonished. I had totally forgot about him and the event. First of all, I was surprised that I didn’t recognize him, although it had only been a few years since our meeting. Secondly, I was even more shocked that I didn’t remember him because our earlier meeting was not a good one. His company had failed to provide the product we had purchased through him. It caused us to shut down our line and it cost us money. He was defiant and blamed everyone else. He took no responsibility for the failure. As a matter of fact, he tried to turn it around and blamed me for the failure. I remember now that he was rude and hateful and as soon as we got our line back up and running, I resourced the part to another company. Shortly after the event, I moved on. For me, it was business and not personal. I forgot about it. I never gave him a second thought. For him, he made it personal. He was young and brash and inexperienced. The way he handled the situation cost him a huge account for his company. What I didn’t know was that it also cost him his job as well. I had no idea that apparently, he has been carrying bitterness towards me since that time. On his call, he told me that he was a very different person back then, he had changed and that he had been trying to figure out how he could get a hold of me and clear his conscience. Apparently, I wasn’t the only one he was contacting. He stated that he was asking for my forgiveness. I wanted to tell him that there wasn’t anything to ask for forgiveness for. But I remembered what I wrote, and I let him talk. This wasn’t about me. It was about a man who had come to the point in his life that he needed to unload some guilt and regret from his youth. For years, he had been picking up the hate and burden every morning for someone he didn’t really know. I instantly felt nothing but complete forgiveness. I could tell he wasn’t sure I meant it, but I genuinely did forgive him. I hope his burden is lighter today than what he has experienced. Two lessons come to mind. First, how easy it is to forgive someone when one gets to see the other in a fully positive light. Second, how important it is to not allow the past to be a filter for the present. I am so grateful that I was not biased by my previous encounters, and able to completely embrace this new setting without preconceived thoughts. It is so easy to put labels on others. There is a veil to this thing called forgiveness. It covers everyone differently. We all need to deal with the aspect of forgiveness. 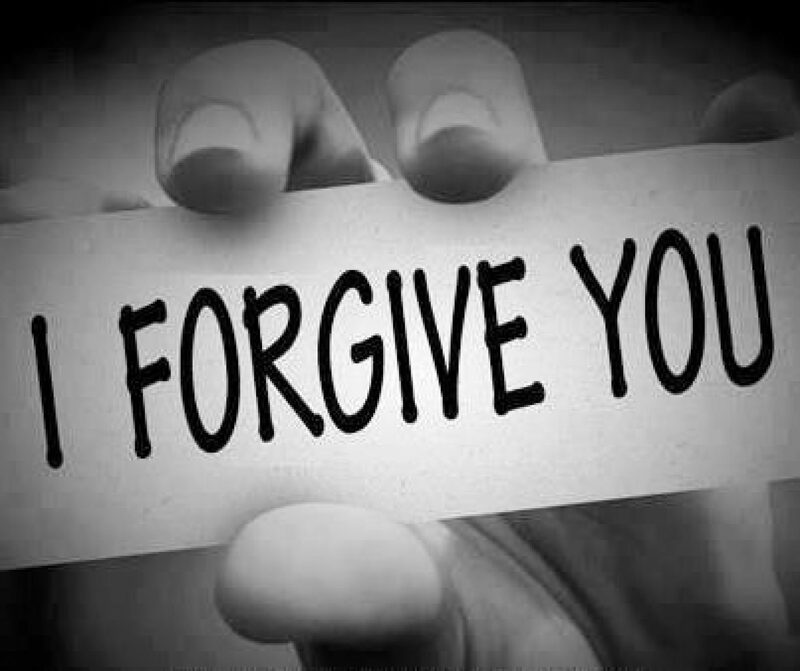 Forgiving those that offended us and asking for forgiveness to those we hurt and offended. It also opens the door to offer forgiveness to those that carry burdens and hurts we knew nothing about. Thankfully, for whatever reason, I am happy for him because things will turn out in a much better way. Forgiveness is so much easier without the hurt attached. My prayer is that the veil of forgiveness forever rules in my mind and in my heart. I had one of my best high school friends that was in my wedding. I will just call him John. I never returned home to live after that and over the next 20 years probably saw him no more than 2 – 3 times. He became a Postal Carrier and occasionally when I was in my brother’s business I would see him deliver the mail. We were both at our 20th high school reunion and he came up to me and told me he needed to ask for my forgiveness. He said he had dishonored my wedding as he had stepped over the altar during the rehearsal. I didn’t see it and if I had, I wouldn’t have thought anything about it (Perhaps I should have more respect for God’s house myself). But it had been eating at him for 20 years. I had been given a heads up by my father that John might me talking to him about the matter. He had discussed it with my dad a couple of months previously. My dad tried to assure him that I had never said anything about that, that I probably had not seen it, and if I had, I would have not held it against him. For 20 years it had been eating at John, perhaps every time he saw an altar, every time he saw a family member, every time he went to a wedding, or every time he saw a friend we had in common. So my advice would be if you think you need to apologize to someone, do it sooner than later. The other person may have never noticed or if they did, just never considered it a big deal. And remember, a qualified apology is not an apology.